“It can provide space for the human mind to flourish; or it can lead to poor health and inhibit the human spirit. As designers, I believe we have a moral duty to create environments where people can thrive. “My interest in this area is born out of personal experience. After graduating from Kent School of Architecture with a first-class degree in 2013, I started experiencing symptoms of mental ill-health. Eventually I had a number of major psychotic episodes and was sectioned under the Mental Health Act and detained in a psychiatric institution. “During my recovery, I had plenty of time to think. I came to the conclusion that my original ambition – to become an architect – was no longer for me. So in September 2016, I quit my job as an architectural assistant and started an MSc in Building Surveying at LSBU. “My medication affected my cognitive function, and meant I was very tired in lectures and seminars. I often left convinced I hadn’t learned anything! But I persevered, and with the support of family, friends and the wonderful Jennifer Afram, a disability adviser in the Student Support team, I managed to complete the course without failing a single module. “For my thesis, I focused on the links between the built office environment and anxiety and depression. I firmly believe that our physical environment affects how we think – and, in turn, how we behave. There is a growing body of research to support this view, but it’s also common sense: think of two people, one living or working in a cold, small, damp, uninsulated room with no windows, a low ceiling and poor artificial lighting, and the other in an airy, well-lit space with natural light, good heating and ventilation. Which one is most likely to suffer from poor mental wellbeing? “Badly designed buildings can cause low mood, fatigue, poor concentration and headaches. There are many studies showing that locating buildings near green space, reducing noise and visual distraction, and incorporating nature – for example in the form of green walls – can all improve wellbeing. So too does giving people the freedom to choose how they use the space. “Last year, I was invited to join the NHS Design Champion Board for Merseycare NHS Foundation Trust. The board includes architects, service users and designers, and has a remit to ensure that hospitals are designed to the highest possible architectural standards. “At our last meeting, the chairman told us how improvements to the built environment and in-house activities such as art and cookery therapy had already helped the Trust save around £2 million in staff sick pay alone. A better environment has reduced stress for staff – and led to major cost savings. “I also work with RIBA, advising on their wellbeing agenda for students and professionals. The Institute is making good progress in addressing the epidemic of mental health issues in our society. The National Institute for Clinical Excellence estimates that one in four people globally will experience a mental health condition in their lifetime. And data from the World Health Organisation ranks depression third in its global burden of disease, projected to rise to first place by 2030. 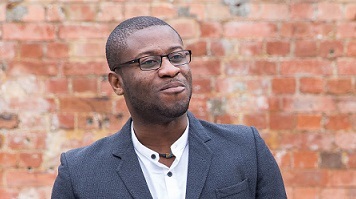 Emmanuel’s latest book – The Arts and Mental Health – is available from Amazon, along with the first two book in his series on mental health, My Psychosis Story and Let’s Talk Mental Health. All proceeds go to fund his current project, transforming a charity shop in his home town of Dagenham into a welcoming community café.